Furling Dacron Genoa 105% with UV band on Profurl Titanium system. "PERFORMANCE TO MATCH YOUR MOODS"
This First 36.7, designed by Farr, has a lot of style, character, great comfortable live-aboard and will deliver outstanding performance. She doesn't like to finish second! Please note this comments section is public. Please do not post your personal details here. 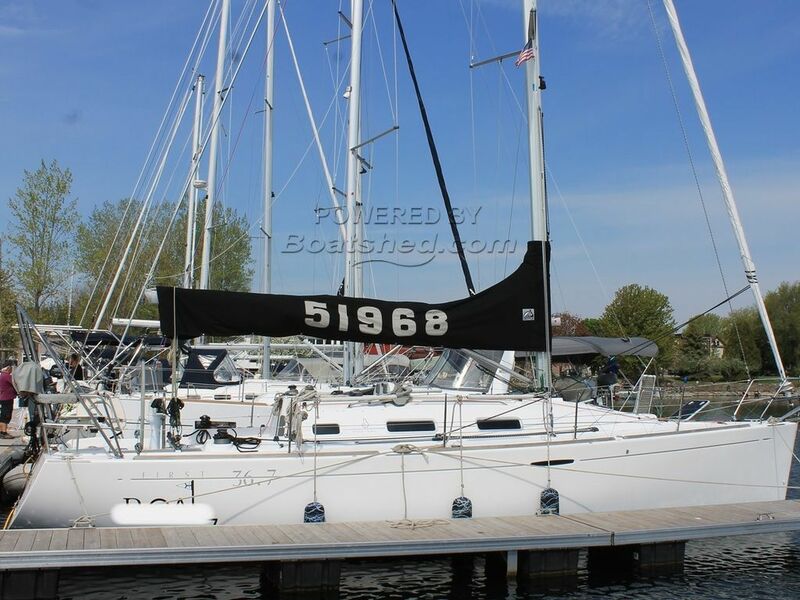 To enquire about purchasing this boat, please contact the broker directly at marcrivet@boatshedmontreal.com. Please read our commenting guidelines before posting.